A trio of animal welfare groups is forming a coalition in hopes of transforming Philadelphia into a no-kill city. Doing so would spare thousands of healthy animals that are otherwise put down each year. A trio of animal welfare groups is launching a coalition to transform Philadelphia into a no-kill city. The Animal Care and Control Team of Philadelphia, which handles the city's animal control efforts, is joining with the Philadelphia Animal Welfare Society and the Pennsylvania SPCA to create the "Philadelphia No-Kill Coalition." The coalition will seek to end the killing of healthy, treatable and manageable cats and dogs in Philadelphia, which saved about 82 percent of cats and dogs that entered ACCT last year. That's a stark contrast from 2005, when about 89 percent of animals were euthanized. In a no-kill city, only animals that are dangerous or suffering untreatable illnesses or injuries are put down. "We have made tremendous progress in recent years and must continue that momentum," PAWS Executive Director Melissa Levy said in a statement. "Together, we will keep strengthening the safety net until every pet owner can get the help they need and every savable homeless animal finds a home." 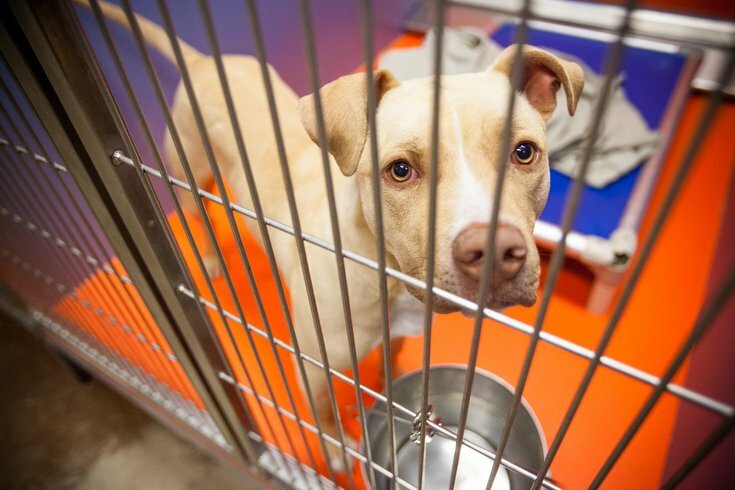 There is not a specific survival percentage that deems a shelter a no-kill facility, according to the coalition. But a survival rate exceeding 90 percent is a common target. The coalition will use Asilomar Accords, a national set of definitions, to determine which animals are considered healthy, treatable and manageable. Twelve organizations in the Philadelphia region have pledged to join together to both increase the city's survival rate and reduce the number of pets that end up in shelters. The number of animals entering ACCT has declined in recent years. Last year, about 18,000 dogs and cats were admitted – a considerable decline from the 30,000 that entered in 2011. Prioritizing the intake and rescue of vulnerable pets will help alleviate the burden of open admission shelters in Philadelphia, according to coalition members. Citizens for A No-Kill Philadelphia will work with ACCT to assist struggling pet owners and prevent shelter surrenders. In turn, ACCT will help the No-Kill Philadelphia group expand the reach of its community help desk by hiring a paid employee to be housed at ACCT. Other efforts include making lifelong commitments to animals transported from regions outside the city and coordinating and mobilizing resources. Coalition leaders said they have been working for more than a year to create the team. "The only way to create a truly no-kill city and an environment of compassion and care is to work together and help each other, which ultimately will lead to saving the lives of countless animals in our city," ACCT Executive Director Vincent Medley said in a statement. Other organizations participating in the coalition include the Animal Welfare Association, City of Elderly Love, Hand2Paw, Project Meow, Providence Animal Shelter, Red Paw Emergency Relief Team, Saved Me, Street Tails Animal Rescue Tiny Paws Rescue and the Women's Humane Society. More information on the coalition can be found on its website.